Is A Vane Pump The Better Choice For Your Application? 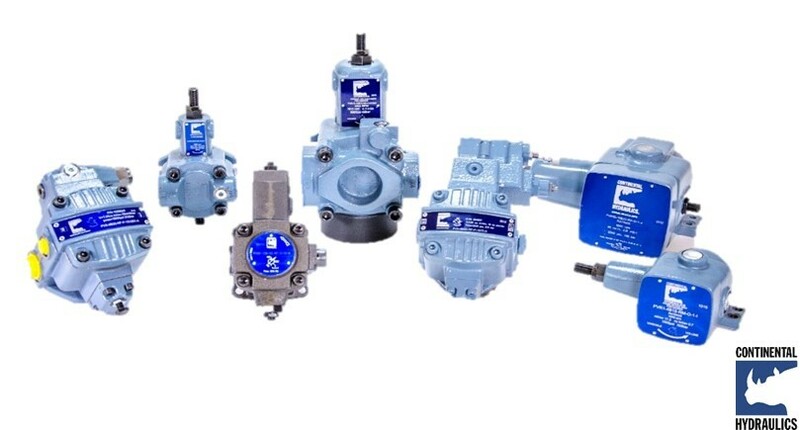 If you have an application with pressure requirements up to 3000psi, a Variable Volume Vane Pump from Continental Hydraulics should be your solution. 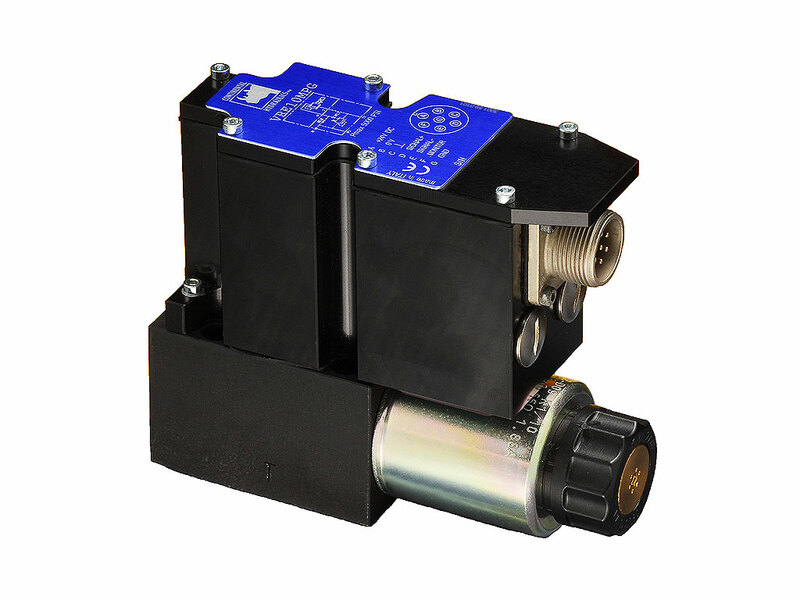 Contact Continental Hydraulics today to learn more about our Variable Volume Vane Pumps! 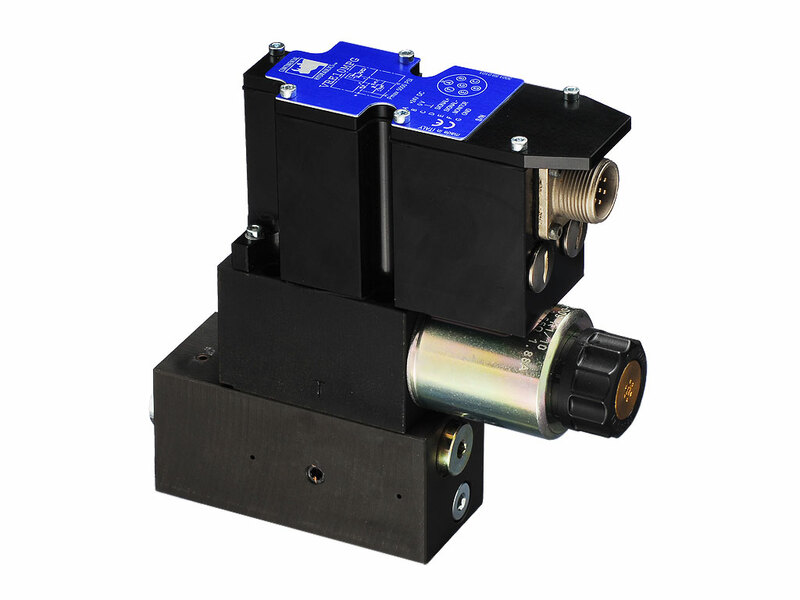 Continental Hydraulics offers a complete family of electro hydraulic proportional directional flow control valves. These products provide precise motion control in open loop or closed loop systems. Valves are offered in industry standard sizes of D03, D05, D07, D08, and D10. Spool designs offered include position control spools, 2:1 cylinder spools, regen spools, and fail safe spools. The CHI family of proportional valves includes 5 basic models: “M”, “G”, “J”, “K” and “X”. The “M” series of valves is the most economical and uses “off board” electronics. The “G” series is the same valve hardware as the “M” valve, but includes on board electronics. The “J” and “K” series valves incorporate an LVDT to measure the main spools position. This design will give quicker and more accurate control of the spool position, for faster and more accurate machine load control. Step response as low as 15ms. The “X” Series feature Spool-in-Sleeve design for highly accurate land and linear flow characteristics, improved high performance LVDT, and digital onboard controls. Perfect for applications requiring high dynamic response, position and force control circuits. 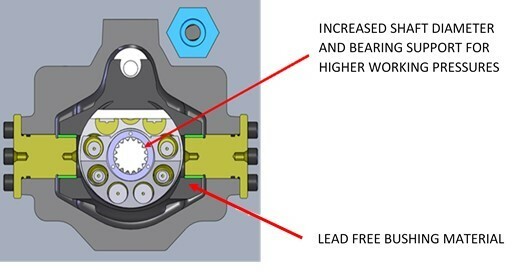 Pilot operated “X” series valves incorporate dual feedback. Step response as low as 8ms. 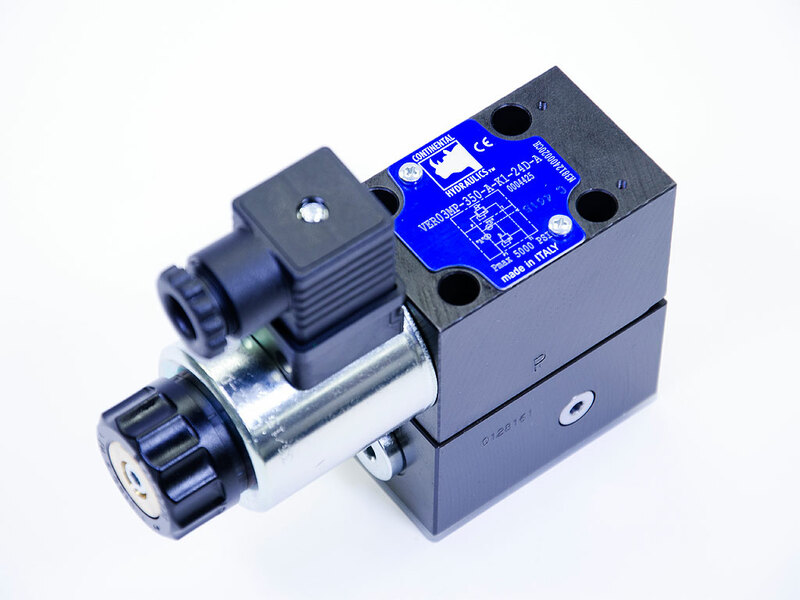 Visit our website for all technical and performance specifications on our electro hydraulic proportional valves. Continental Hydraulics VED05MJ proportional valves have been developed and tested as replacement for wind turbine blade pitch control. Contact us today with your wind turbine make and model to see how Continental Hydraulics Inc. can provide a solution. Thank you to all of our employees who donated to our annual toy collection! We appreciate your generosity and look forward to making the holiday season a little brighter for the children in our community! 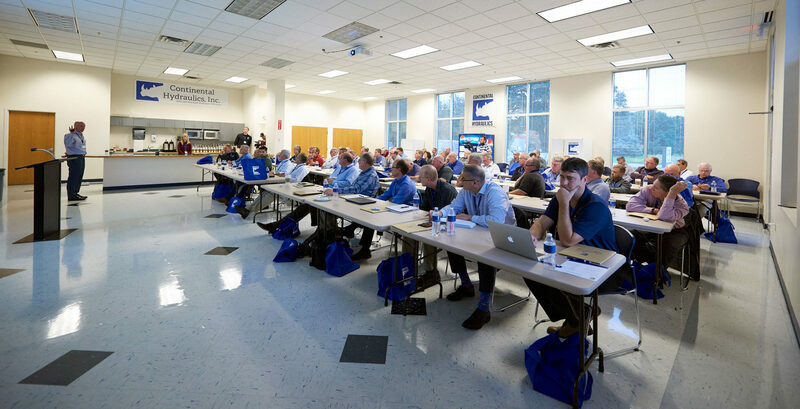 Continental Hydraulics would like to thank the 50 distributors that participated in our 2018 Distributor Conference on October 2nd and 3rd. We enjoyed the opportunity to show you our new home, share product updates, discuss plans for the future and listen to your ideas! The telephone number, fax number, and email addresses remain unchanged. 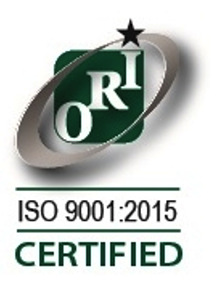 Continental Hydraulics, a leader in engineering hydraulic components and solutions, is proud to announce it has been certified to the ISO 9001:2015 standard following a comprehensive audit by Orion Registrar, Inc., a full-service management system and product certification registrar. 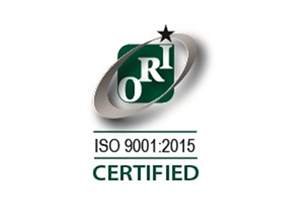 ISO 9001:2015 is the internationally recognized standard for Quality Management Systems. Continental Hydraulics certification to ISO 9001:2015 signifies the company’s quality management system follows the quality management principles of ISO 9001:2015, including a strong customer focus, the involvement of employees, and process approach and continual improvement. “I am proud of our employees and their commitment to implement process improvements in the business, which ultimately leads to higher quality levels and customer satisfaction” said David Zimmer, President of Continental Hydraulics. For over 50 years Continental Hydraulics has provided customers with a full range of hydraulics and proportional valves, vane and piston pumps and power units, all assembled in the USA. To find out more about our company and our values, please visit the “About Us” section of our website. PRODUCT list for FAST DELIVERY! Our most popular items ranging from pumps to directional control valves and modular stack valves could be delivered ready at your order. Here is our value for you more than product, more than quality we deliver the service you need when you need it.